A distinguished gray colored fiber optic glass seems to be gliding in between the clamped hold of its rhodium-plated silver mount. The contrast between the glass and the nice finish of the metal makes this item even lovelier. 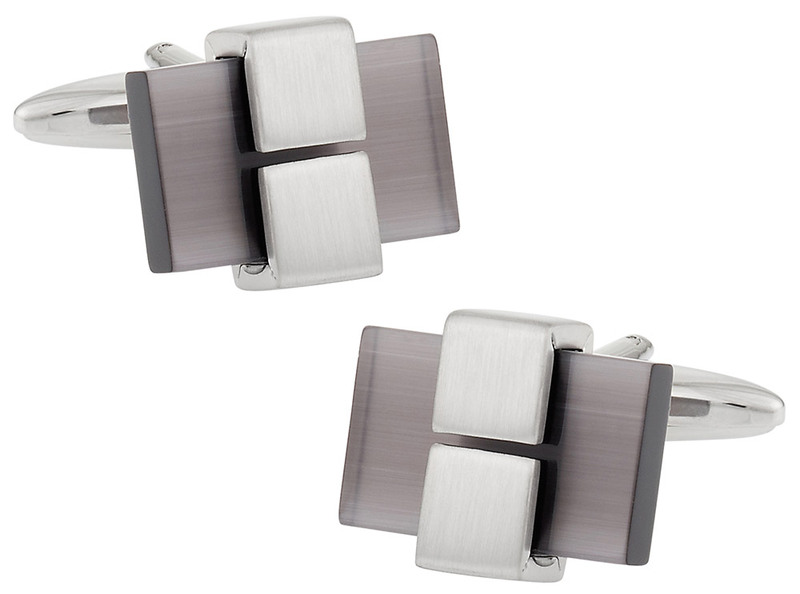 Our vast collection of cufflinks includes a similar design which has a differently colored centerpiece. Please check it by typing in product code CD-464 in the search box. You can then decide which one suits you best. 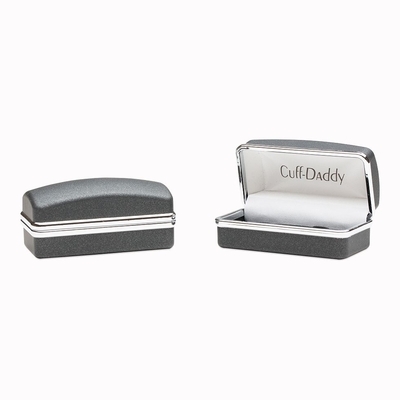 As each item is backed by the cuff-daddy.com warranty, you won�t regret making an immediate acquisition in case of either one of them, if not both. 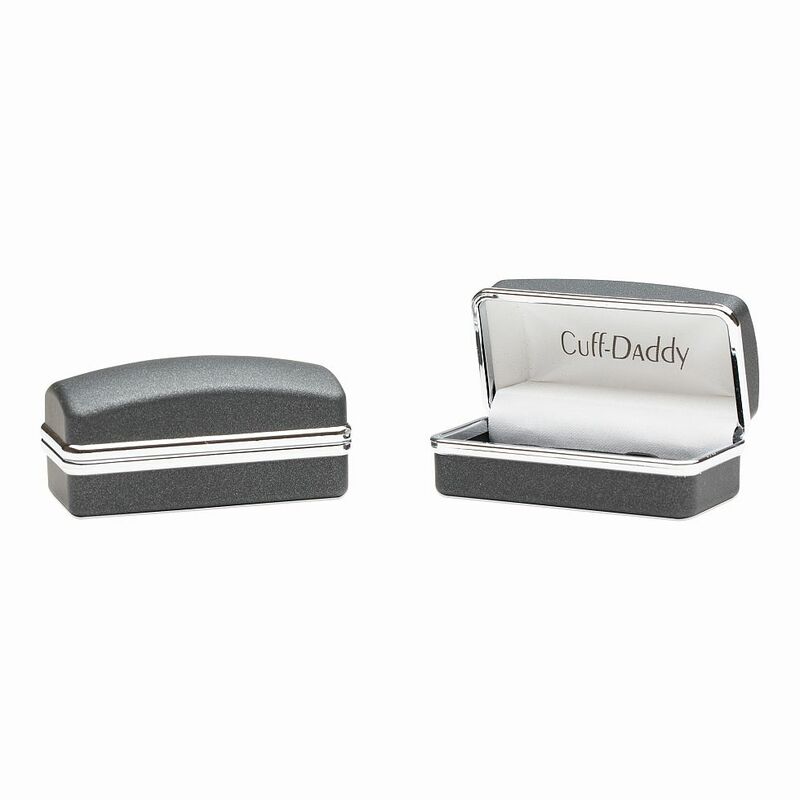 These cuff links look very fancy expensive, but quite affordable. The price is a good deal off of the original retail price.